An autosomal recessive polycystic kidney disease (ARPKD) is a genetic condition marked by the growth of cysts in both kidneys. The cysts do not exhibit dysplasia (i.e., they are non-cancerous), but it can still lead to kidney failure and problems in other areas of the body like the liver and other blood vessels. 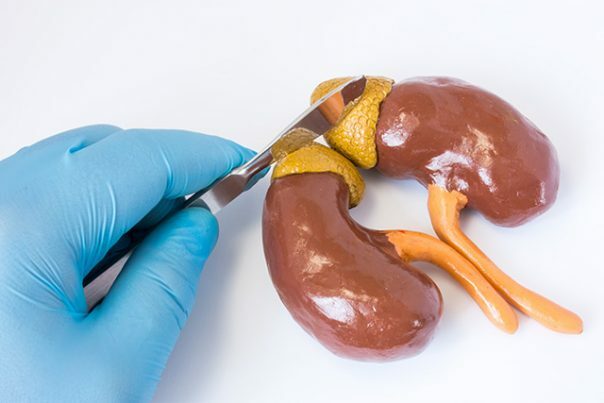 ARPKD, together with autosomal dominant polycystic kidney disease (ADPKD), are the two main types of polycystic kidney diseases (PKD), an inherited disorder that causes cysts to develop in the kidneys. The cysts will continue to grow and multiply, which will impair the function of the kidneys over time. While the condition is rare, ARPKD poses a significant risk, especially since it is usually diagnosed in fetuses in the womb. The condition can already impair kidney function, even in the womb, and can lead to breathing problems that threaten the life of a fetus or baby. On average, at least 30 percent of newborns with ARPKD die a week after birth. Babies who survive the first weeks of life are more likely to survive into adulthood, but they may rely on medical treatment for the rest of their lives. Genetics play a major factor in the development of a PKD. In most cases, the abnormal genes that carry PKD run in families. In an autosomal dominant polycystic kidney disease (ADPKD), having one parent with the condition increases the risk of having it by 50 percent. In an autosomal recessive polycystic kidney disease (ARPKD), both parents must be carriers of abnormal genes for an offspring to be at risk. If they do, the likelihood of a person to get the condition is increased by 25 percent. In most cases, ARPKD is detected before birth using ultrasound scans. A fetus with the condition will appear to have enlarged and “bright” kidneys, while the lungs will appear to be underdeveloped. The scan may also reveal the lack of amniotic fluid surrounding the baby. The symptoms of ARPKD will be more pronounced after birth. This could include breathing difficulties – a result of underdeveloped lungs, a swollen abdomen because of the enlarged kidneys, and Potter’s syndrome: a condition where the limbs are deformed because of the lack of amniotic fluid. While the threat of ARPKD significantly drops after infancy, it can still cause complications that need to be addressed long-term. Hypertension is a common problem for children with ARPKD. This increases the risk of cardiovascular diseases in the future if it is left unchecked. Children with ARPKD also experience internal bleeding, as well as liver problems, as a result. In particular, this may present itself as bloody stools or vomit. The kidney, which regulates water retention in the body, develops abnormally because of ARPKD. This may lead to excessive urination and even prolonged thirst, or even diarrhea. The size of the enlarged kidney may also present with feeding problems as it may interfere with eating. This may also lead to stunted growth. The loss of function in the kidneys because of ARPKD may cause chronic kidney disease, with the most advanced state being kidney failure. Nephrologists recommend cutting back on potassium and phosphorus in a diet of a person with PKD in general, as these may not be regulated effectively by an impaired kidney. These include legumes, lentils, dairy, processed meats, beer, chocolate, and soda drinks. Healthier alternatives could be mushrooms, onions, and green peppers. Currently, no medical treatment for ARPKD is available, with options available only for treating complications that arise from the condition. Still, managing ARPKD involves making healthy lifestyle choices. These include regular exercise, limited alcohol consumption, and quitting smoking. An autosomal recessive polycystic kidney disease is a genetic condition marked by the growth of cysts in both kidneys. This can lead to kidney failure and problems in other areas of the body like the liver and other blood vessels. In most cases, the abnormal genes that carry PKD run in families. While no medical treatment for ARPKD is available, managing ARPKD involves making healthy lifestyle choices.